I am writing concerning the commentary on the Anangu opposition to tourism development in Uluru in the local paper cutting I received from an Australian friend. I want to express my disagreement with the criticism expressed. In my opinion we all should respect Anangu people and their tradition. 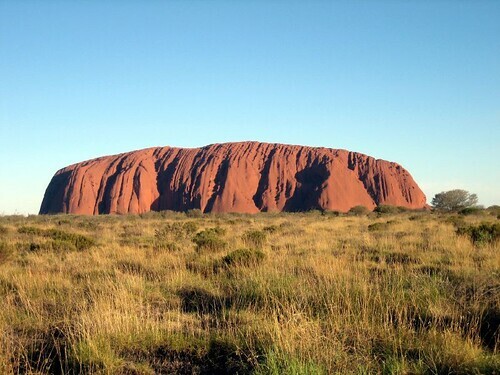 The Anangu people who have been there over 20,000 years call Ayers Rock as Uluru. It is their sacred site to which they are so attached that they never climb it and that is why they do not like when tourists do that. On the other hand, everybody realises that they benefit from tourism, and it is in their interests to increase visitor number to the rock. I think this can be solved by involving controlled tourism, which will ban climbing, but at the same time provide more seasonal work around the site and education to visitors. I suggest that there is better cooperation between the goverment and the Anangu. To achieve this, the Culture Centre should have more jointly organised activities such as: educating visitors about aspects of the Anangu culture and explaining the spiritual importance of the area to their people. Visitors to Uluru are currently 400,000 a year. This is low compared with many other National Parks, and numbers could be increased. That is why Anangu should have a greater role in promotion, because then more profit will go to them. All in all, the local people are right when they ask for a ban on climbing and for more control in tourism. I believe that this is the only way how this problem could be solved to make both sides satisfied.